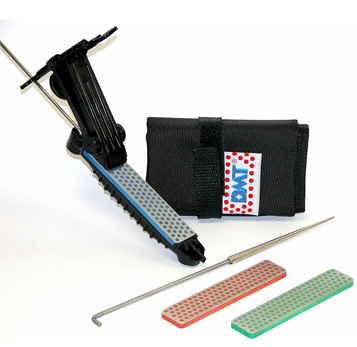 DMT Aligner Deluxe Kit DMT The Aligner Deluxe Kit. Includes interchangeable stone holder and knife clamp three 4 inch diamond whetstones and serrated knife sharpening accessory. Nylon storage pouch.